Be prepared for every eventuality by ensuring that your car is equipped with the following: demisting pad, torch (wind-up so you don’t run out of battery), spare screenwash, de-icer, ice scraper, blanket, shovel, phone charger, map and a square of carpet that you can use to put under your drive wheels should you get stuck in the snow. Do you need to use snow socks? We recommend allowing about 10 minutes to clear your windscreen thoroughly using a scraper and de-icer if necessary. Don’t forget about the other windows and your mirrors as well … they’re just as vital for safe visibility and are often ignored, limiting your vision, especially at junctions. Don’t be tempted to pull away until the windscreen is fully clear – it can be dangerous and the Highway Code states it is illegal to drive with poor visibility. Plan ahead to save time in the mornings, either by putting an windsreen cover on the night before or getting up a little earlier so you have plenty of time to de-ice your vehicle. Never pour hot or boiling water on your windscreen, otherwise you run the risk of cracking the glass and an expensive repair bill. If you don’t have any de-icer, you could use lukewarm water. It’s also a good idea to carry a lock de-icer with you to clear your lock. If your locks do get frozen, try warming the key or spraying de-icer or an oil-based lubricant into the lock. Finally, ensure all your vehicle lights, front and rear, are free from frost and/or snow – a thick film of frost on the lens can affect the intensity of the lights, making it difficult for other road users to see you or your signals. If you use the vehicle’s heater /screen demister, don’t leave your car unattended while you wait for it to defrost as you run the risk of having your vehicle stolen. RAC Driving in the snow. Always carry a survival pack in the car, including food, water and a blanket. This should include extra warm clothes. Ensure your phone battery is fully charged and you have an in-car charger. Put a shovel in your boot – in case you need to dig yourself out of trouble. Consider fitting winter tyres, but even if you don’t, have your summer tyres checked. Winter driving means that tyres should have no less than 3mm remaining tread. Have your battery checked. Batteries have to work extra hard in the cold and are more likely to fail. Make sure your windscreen washer fluid is topped up with the correct concentration of screen wash. Windscreens get particularly dirty in the winter months and screen wash will help prevent the liquid from freezing. Have your coolant checked – the antifreeze needs to protect your engine against the lowest of temperatures. Have your air-con system serviced. It’s not just for summer – an effective air-con system will demist windscreens much more quickly, helping visibility. 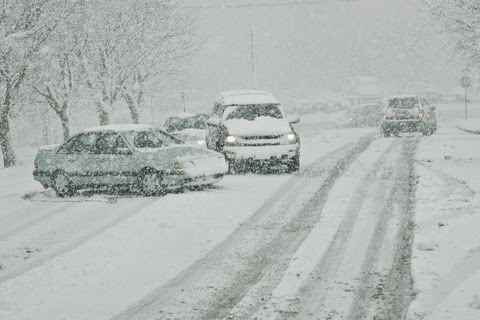 Adjust your driving style to the conditions – be sensible in the rain, snow and ice. Above all, in bad conditions consider whether your journey is really necessary. A huge than thank you to everyone who made Chislehurst Rocks 2014 a fantastic day out! Contact details: 0300 200 1122. Waiting room is on the 1st floor, there are two flights of stairs. Candidates with mobility impairment will be met in the DTC car park. Situated on the busy city roads of London, Goodmayes Driving Test Centre test routes will involve many complicated roundabouts, junctions and crossroads. A high level of practice and knowledge of such roads in and around the test centre is beneficial. Narrow residential roads are often featured as part of the driving test. These roads involve narrow lanes, sharp bends and oncoming traffic. Busy A roads such as the A1083 and A118 are highly likely as are dual carriageways such as the A406, A12 and A13 with a slight possibility of more rural roads that are within test centre radius. The driving test examiner will require at least 1 driving test manoeuvre with a 1 in 3 possibility of incorporating the emergency stop procedure. Goodmayes Driving Test Centre has a small car park that is frequently used for the bay parking manoeuvre. The car park at Goodmayes is small, try not to arrive for the driving test more than 10 minutes before the test booking time as this may conflict with other learner drivers returning from their test. 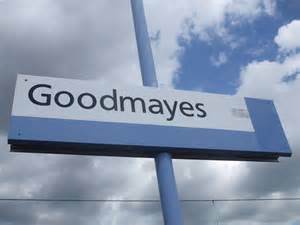 The driving test from Goodmayes Driving Test Centre is challenging due to difficult roads and roundabouts. As Goodmayes is located in a busy area, more emphasis is placed on busy urban roads and very little on country roads and driving. A good understanding of the driving test routes from Goodmayes Driving Test Centre will benefit you with knowledge of the types of road you will be taking during the driving test. Driving tests cannot be booked through the test centres directly. To book a driving test, there are 2 options; by phone or online. 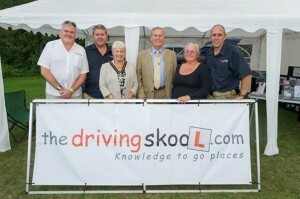 To book a practical driving test at the Goodmayes Driving Test Centre by phone, call the DSA on 0300 200 1122. This driving test booking telephone number is an automated system. A DSA representative can be reached however by listening to the options. Cancelling and rescheduling the driving test at Goodmayes can be done provided at least 3 working days notice if given. The DSA will be unable to offer a refund or reschedule the test if this notice is not met.